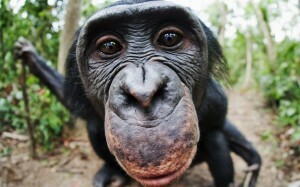 Home › Primate Education Network › PEN Celebrates First World Bonobo Day! February 14, 2017 marks the first-ever World Bonobo Day, recognized by a California Senate Resolution, authored by Senator Isadore Hall III. 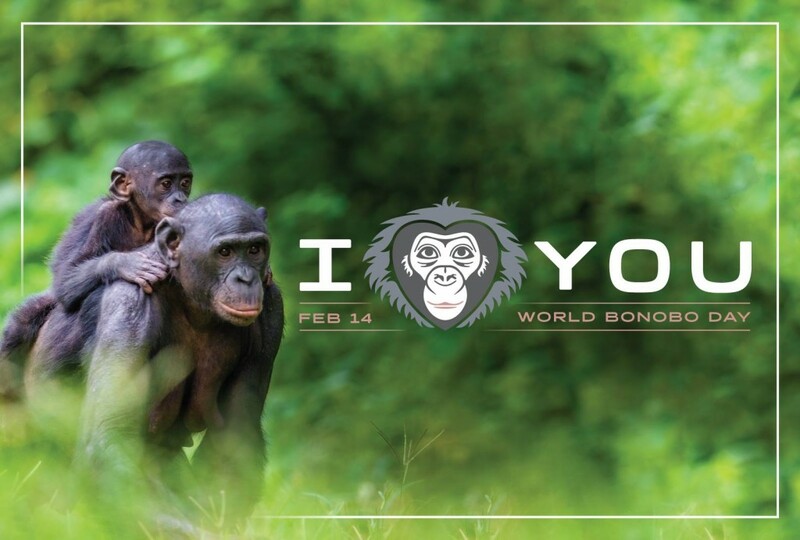 This Valentine’s Day, join us in spreading love and educating the world about bonobos! Bonobos weren't recognized as a separate species from chimpanzees until 1929. The two species differ physically and socially. Bonobos are distinguished by their smaller head and ears, black faces with pink lips, and parted long hair. In contrast to the competitive, male-dominated culture of chimpanzees, bonobo society is peaceful and matriarchal (i.e.females have a higher social status than males). Referred to as the "Make Love, Not War" primate, tensions within a bonobo group and even between groups are diffused through sexual contact. Bonobos are currently listed as Endangered by the IUCN Red List. Threatened by habitat destruction and the bushmeat trade, as few as 15,000 of these primates remain in the wild. Learn about the strategies to conserve bonobo "strongholds" in the wild. 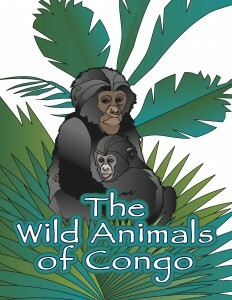 Below are some fun resources for you to learn and teach about bonobos. All of the educational materials listed (and more!) can be found in PEN’s members-only Resource Library. Download a Congo coloring book and learn how to draw a bonobo in nine easy steps. 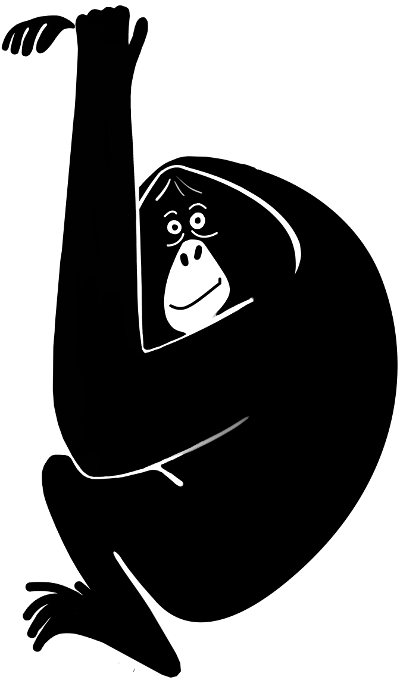 Instruct your students to color, cut, and add some string to their masks and you will have a class full of bonobos! Teach them about bonobo facts with The Bonobo Project's infographic and ask them to take their masks, created by the Bonobo Conservation Initiative, home to share what they have learned with their friends and families. Visit PEN's Resource Library for great ape resources, including a bonobo lesson plan, teacher's guide and student handouts to accompany the NOVA-National Geographic Ape Genius program, and more! The bonobo is only found in the Democratic Republic of Congo. They are separated from other African great apes, the chimpanzee and gorilla, by the Congo River. View IUCN's range map and download The Bonobo Project's map to identify bonobo research and conservation areas. The Great Apes Survival Game is a new board game, featuring Dr. Jane Goodall. Suitable for children ages six and up, the object of the game is to save as many great apes as possible from the poacher’s cages. Bonobos are the most vocal of the great apes. Their voices tend to be relatively high-pitched and melodic, in contrast to the lower and more guttural “pant hoots” of chimpanzees. Play bonobo vocalizations, recorded by Dr. Zanna Clay, for your students and test their knowledge afterwards. Special thanks to The Bonobo Project for organizing World Bonobo Day. And thank you for joining PEN and our colleagues around the world in promoting bonobo conservation! Looking for more great ape education resources? Find and download materials from PEN's Resource Library!